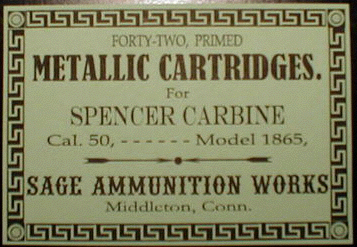 .38 S&W by United States Cartridge Co.
.44-40 Win. 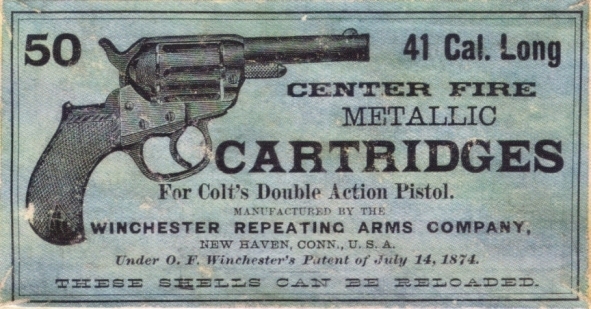 by United States Cartridge Co.
.44-40 Win. 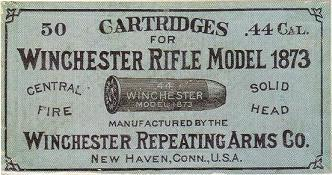 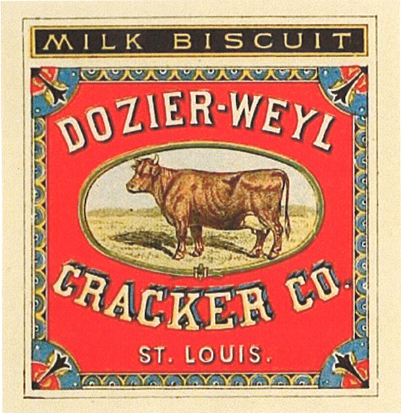 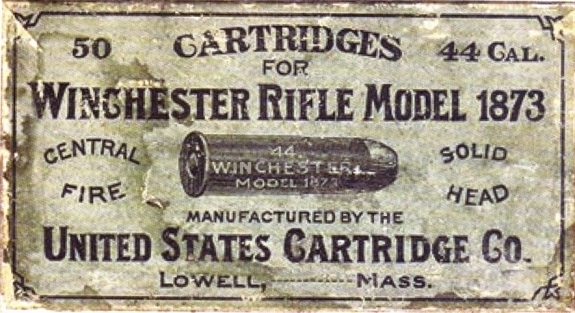 Smokeless by Winchester. 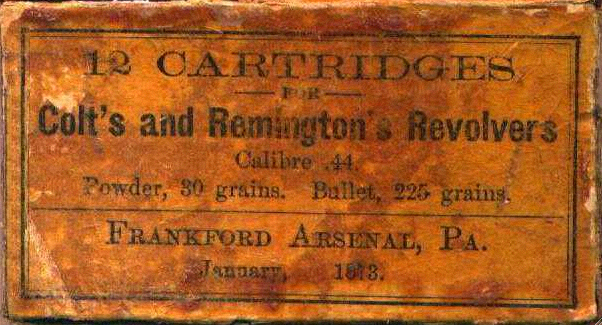 .44 Colt from Frankford Arsenal. 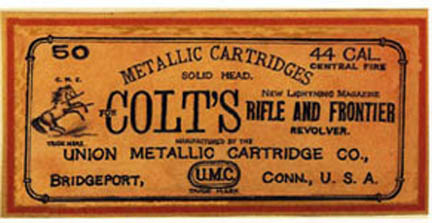 .44 Colt by Union Metallic Cartridge. 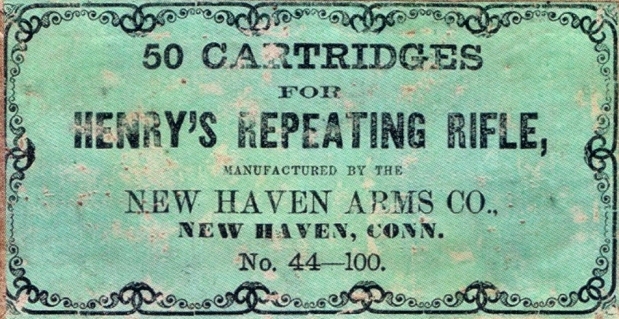 .44 Henry Flat by United States Cartridge Co.
.45 Colt by Union Metallic Cartridge Co.
.45 S&W Schofield by Union Metallic Cartridge Co.
.43 Spanish by Union Metallic Cartridge Co.
.44 Henry by Crittenden & Tibbals Manufacturing Co.
.44 Henry by New Haven Arms Co.
.44 Henry Flat by Winchester. 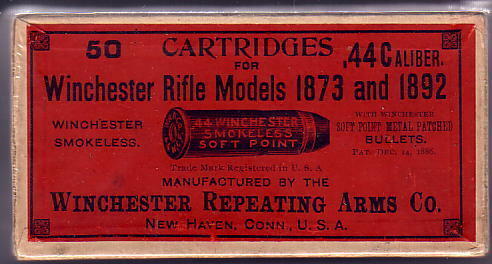 .44-40 Win. 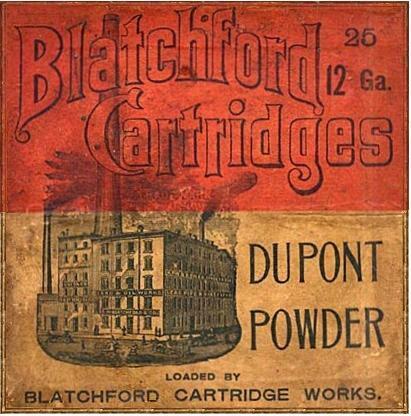 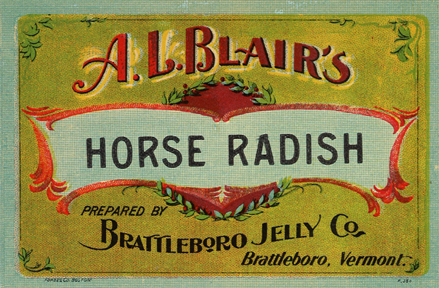 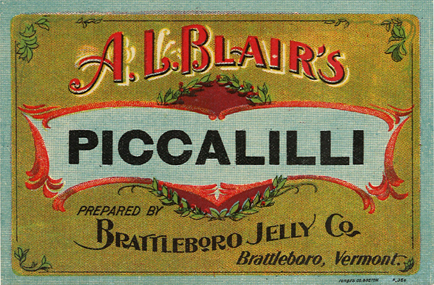 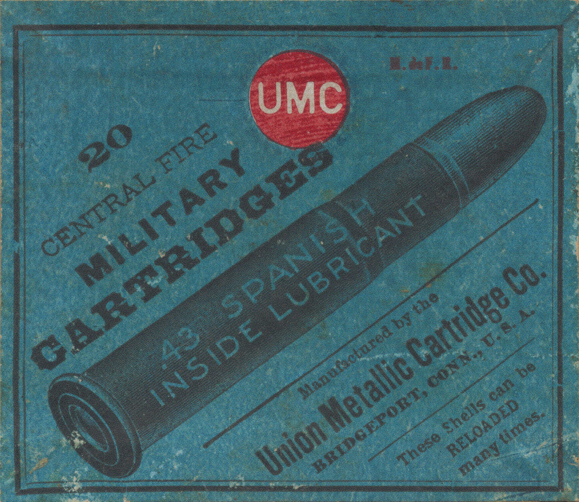 by Union Metallic Cartridge Co.
12 ga. byBlatchford Cartridge Works. 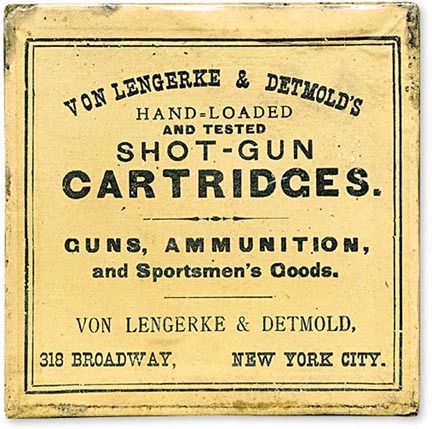 10 ga. by Von Lengerke & Detmold. 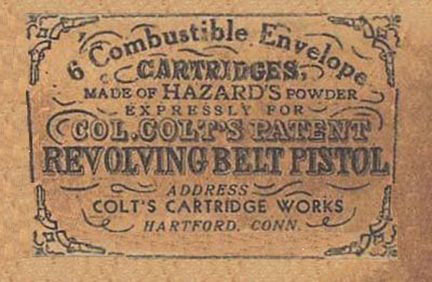 Combustable Cartridges for Belt Pistols (.36 cal.) 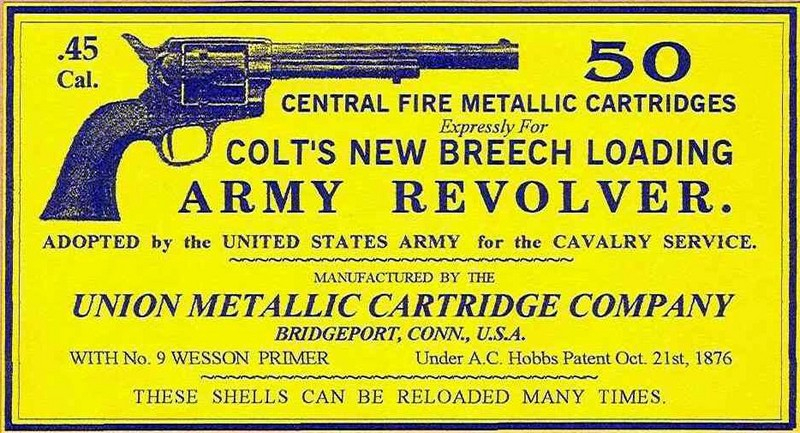 by Colt. 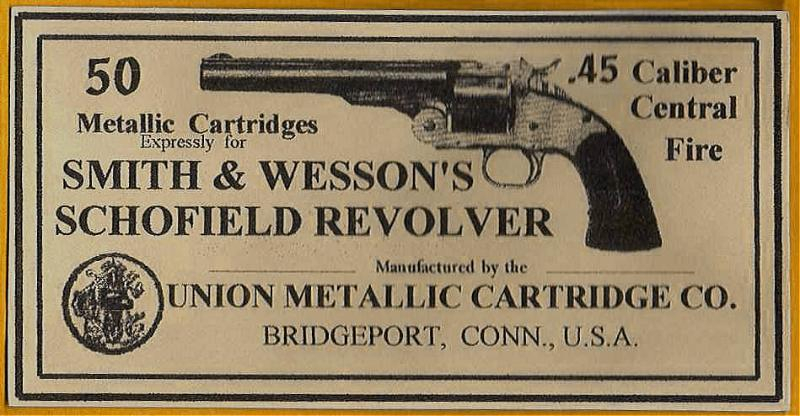 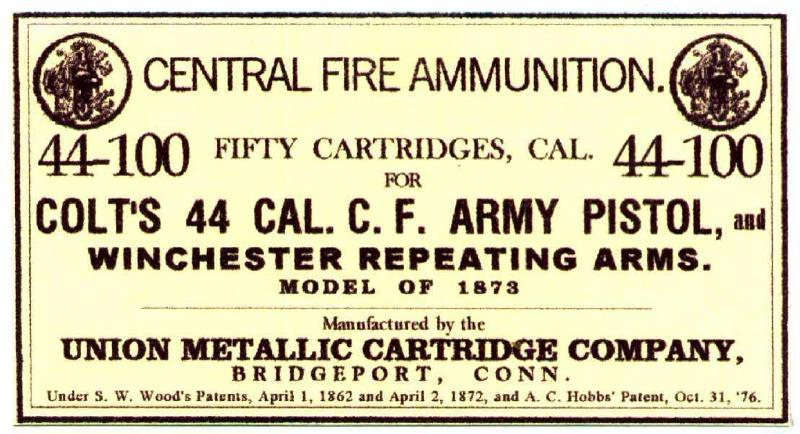 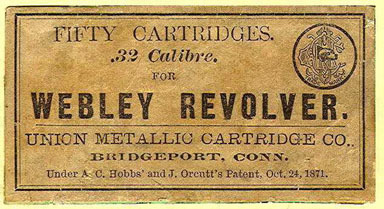 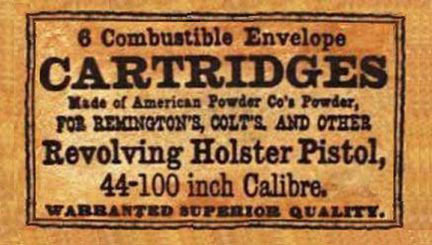 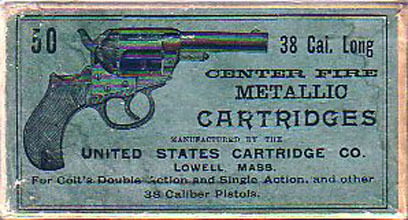 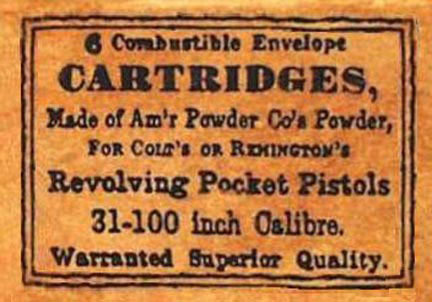 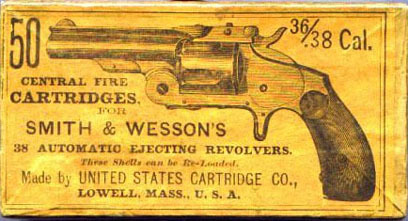 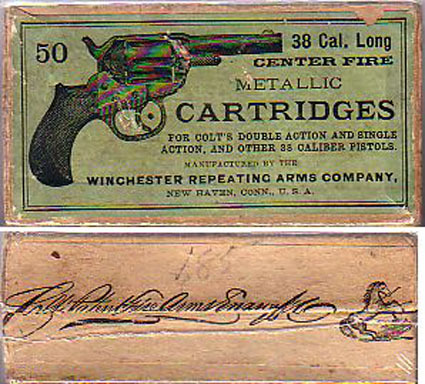 Combustable Cartridges for Navy Pistols (.36 cal.) 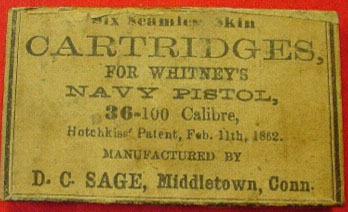 by D. C. Sage. 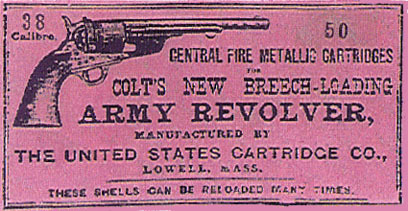 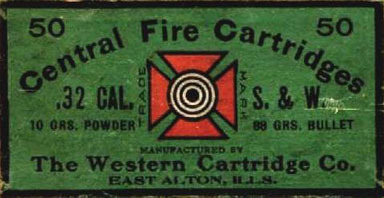 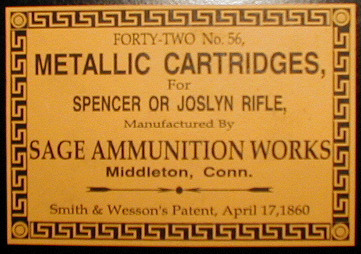 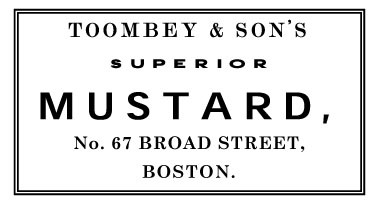 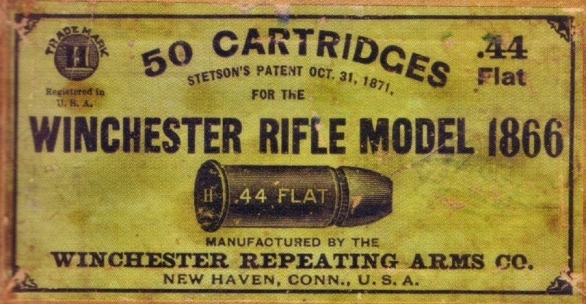 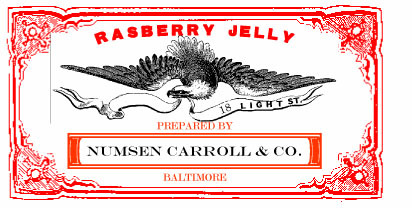 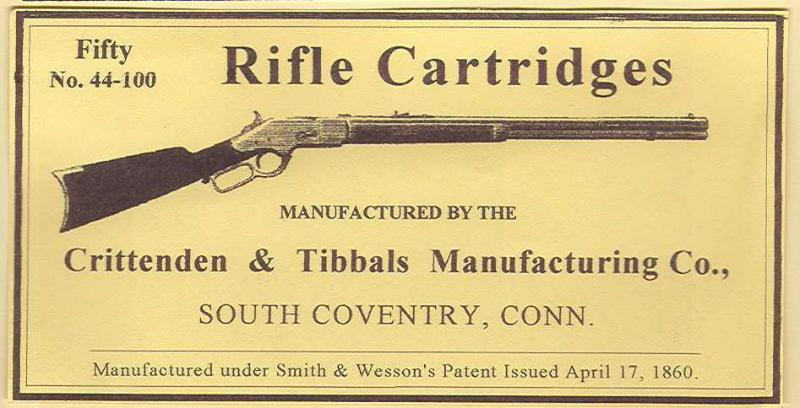 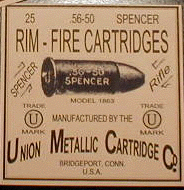 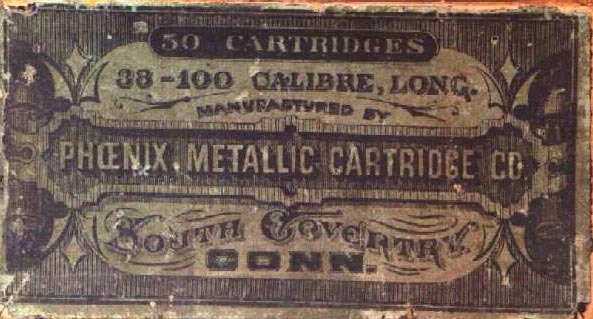 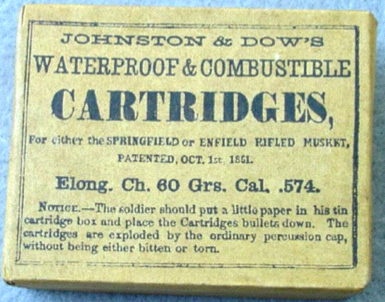 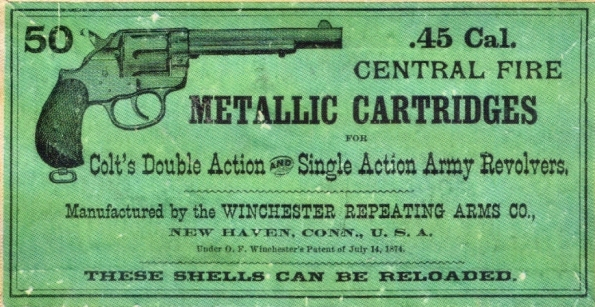 Combustable Cartridges for .58 cal Muskets by Johnston & Dow. 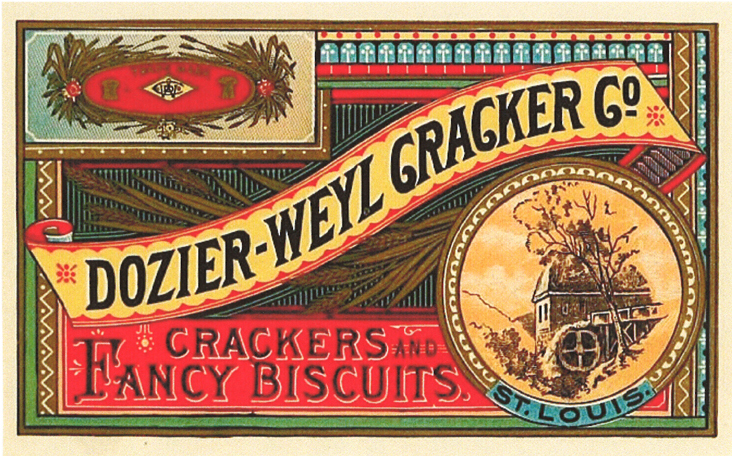 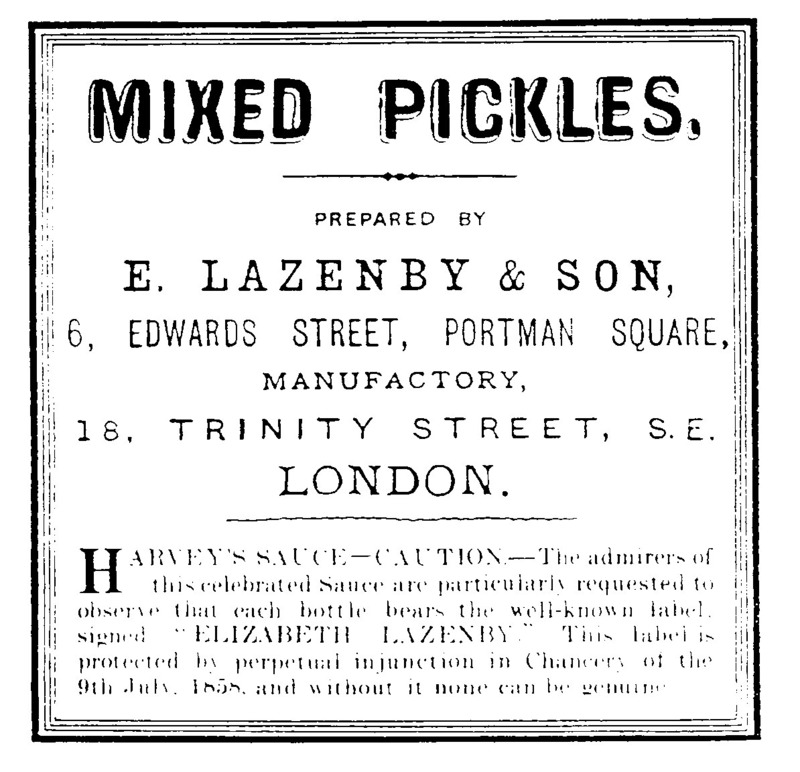 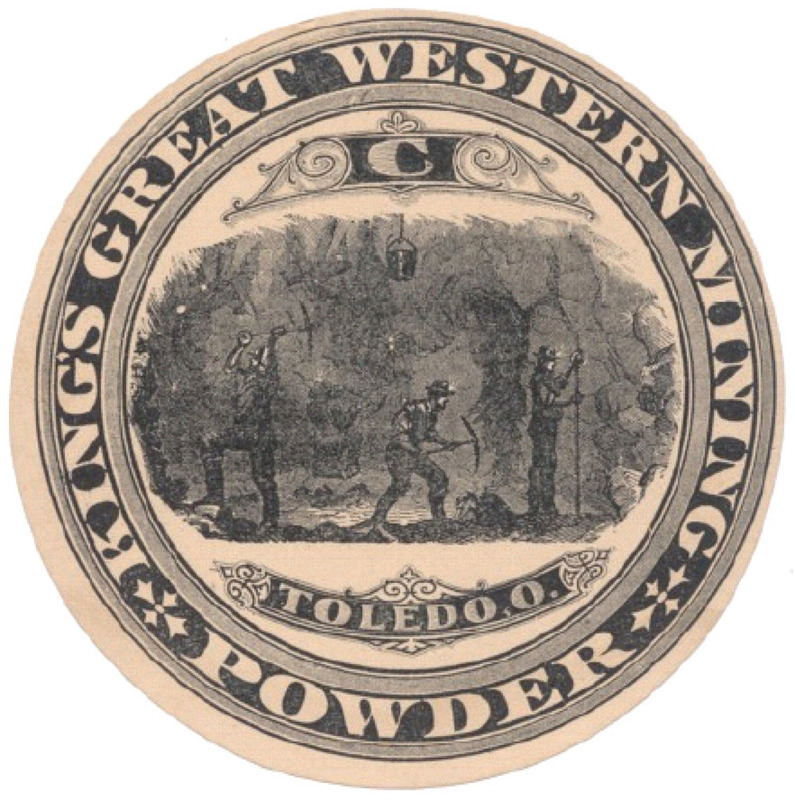 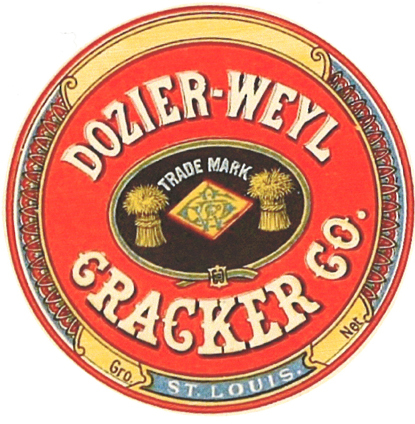 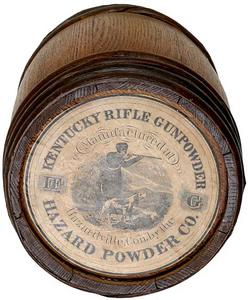 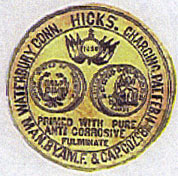 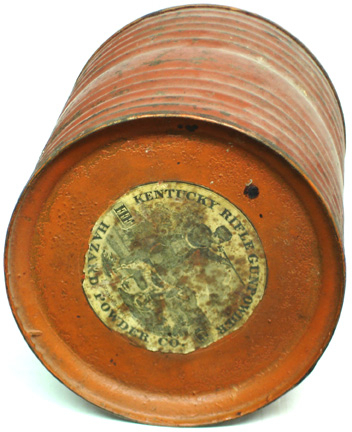 FFFg Powder from Hazard Powder Co.
FFg Powder from Hazard Powder Co.
King's Great Western Mining Powder. 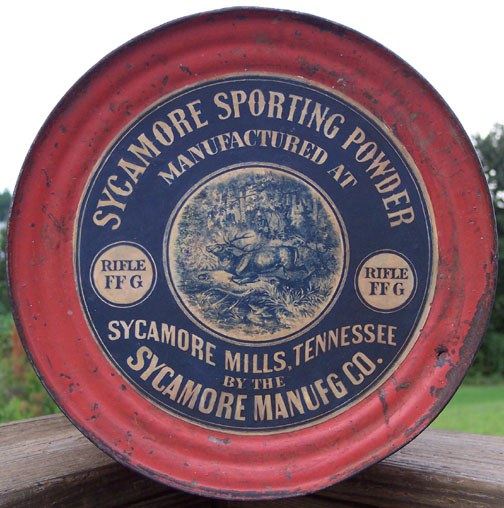 FFg manufactured by Sycamore Manufacturing Co.